Changes are proposed to routes 50, 75, 109, 154, 197, 250, 264, 403, 405, 412 and 433 in Croydon town centre. "We are proposing changes to 11 bus routes serving Croydon town centre. These proposed changes would help to make the bus network simpler and more efficient, and would ensure our resources are invested in the locations where passenger demand is highest. These changes are also in response to the ongoing changes to Croydon town centre and would help to maintain the reliability of bus services." "We have reviewed how we operate bus services across Croydon town centre. As the majority of passengers do not travel across the town centre, we can reduce the number of buses crossing the town centre while maintaining existing links across Croydon." "We do not expect any changes to the frequency of these bus routes as result of the proposed changes." What a horrible set of changes leaving a number of routes from not serving the two most important destinations in Croydon - some no longer both West Croydon Bus Station & Whitgift whilst some don't serve Whitgift & importantly, in the case of the 250, Croydon College & Fairfield Halls - in fact, Fairfield Halls has no bus service from the north unlike currently where it has the 75, 154, 250 & 403. The 250's change also has a terrible knock on effect for the already busy 109 as well as the 60 - sorry to say but what an absolute bunch of garbage. Not exactly what we were expecting. Basically coming south you have to walk the rest of the way and coming from the north you have to walk the rest of the way. Sounds a bit like the budget airline joke where the flight to New York is cheap because you land in Dublin. Probably the most interesting Consultation so far. Leaves the 60, 64, 109, 166, 194, 198, 367, 407, 410, 455, 468, N109, X26 crossing town. I can see why these random ideas popped up out of nowhere. Whenever I have used the 75 to Croydon most people get off at “St Mary’s Church / West Croydon”. To me these ideas have been based on where the bus becomes empty / busy. This will probably discourage some from using buses. The 154 I think should at least still go to West Croydon as it comes off the dual carriageway, will also force people to use the 157 over the 154. This is all very underwhelming, just swapping around of termini. Presumably the thinking is people can use Tramlink to get across town but I think the whole thing is very poor and will only lead to a further decline in bus travel. The 154 could have been rerouted from Old Town roundabout along Roman Way to Reeves Corner and as per the 157 to West Croydon. 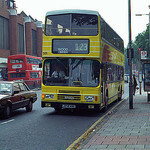 The 312 and 412 may as well be merged into one route as was previously suggested and the 197 extended to South Croydon Garage. If the 4 routes are moving into West Croydon BS, it probably needs to leave for capacity reasons. 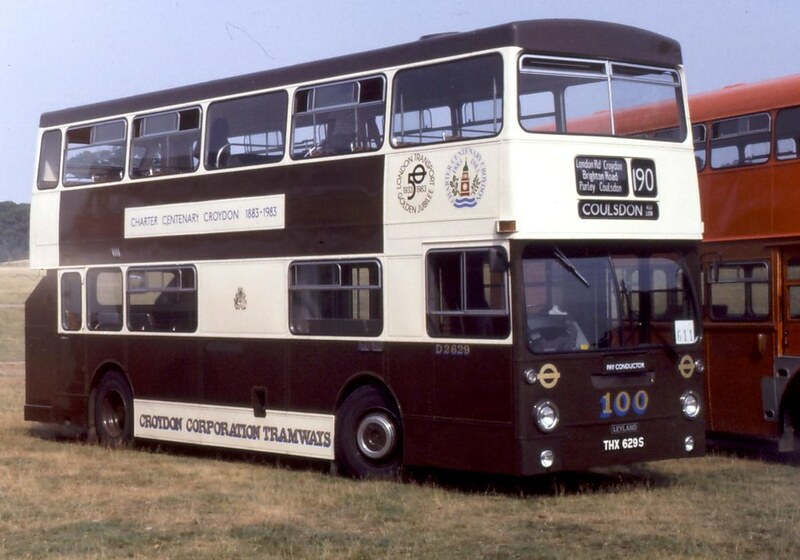 And it's probably only the fact there is no more room at West Croydon that has allowed the 109 to escape a cut back. I'd keep at least the 50 unchanged to keep common stops with the 468 which of course has recently had a frequency reduction. Slightly ironic that probably the longest route from Croydon up to Elephant & Castle survives running right across Croydon. I personally wasn't expecting the 468 to be affected. It seems the routes they've highlighted all terminate either at the Town Centre or West Croydon bus station. The 468 doesn't terminate at either places. I personally think it'll be best to keep the 468's South Croydon terminus to retain a north-south link, especially if all other routes that come from the Hogarth Crescent direction would now be altered to terminate in the bus station. It means the 468 would be the only route, from that direction, still providing access to central Croydon. Plus the 468 just underwent a slight frequency/PVR cut. I think TfL wouldn't be in a rush to make any further additional changes anytime soon to that route. The problem the 468 will have is no common stop with the 50 in the town centre so it'll probably be a lot busier whilst the 50 picks up hardly anyone? Well I did predict the likely result was to reduce bus movements across Croydon because of the impact of rebuilding the Whitgift centre as a Westfield. This is TfL's insurance policy against delays. Oh look here's what the consultation says. TfL is working closely with Croydon Council to ensure travel and traffic disruption in the town centre is minimised during the period of redevelopment. A simplified bus service which aims to reduce the impact on bus operations potentially arising from the construction works in and around Wellesley road would likely be beneficial to passengers as far as the bus reliability is concerned. 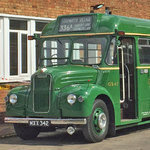 TfL are essentially turning Croydon into a "mini Birmingham" where bus services no longer connect properly across the town centre. Worse Tramlink is not much a replacement either given the cluster of stops around Katherine St for services that will terminate from the south. I wonder what people who connect to / from Overground / rail services at West Croydon will think about this? It certainly will ruin connectivity for me to / from a number of services where the connection at West Croydon is very useful. Ah well I'd best make an effort to tick off the routes I've not done in the Croydon area as I won't be going to back to use them after this mess is implemented. I'm not trekking half way across Croydon to find a bus stop. So I'm guessing that what will happen is. The current 154/405 stand at West Croydon will be used by the 50 and 75 allowing the 75 to serve its current stop and the 50 will presumably serve that stop as well? The 250 and 264 will use the current 412/433 stand space in the middle and serve the same stop that they do now. Is there going to be a new stand in Fell Road for the 109 or does it mean the current route 50 stand? The 405 and 412 turn right from the High Street up the flyover slip road to pick up and set down at the current 109 stand in Katherine Street. The 154 and 403 use the current 264 stand and hopefully pick up opposite and outside Fairfield Halls. That's just my guesswork, I could be completely wrong. If you look at the individual maps you will see the 109 uses the current 50 stand. 154 uses the odd 264 stand. I agree with the 197 terminating at Fairfield Halls where it does now seeing as where it used to stand doesn’t look like it’ll become a bus stand again.